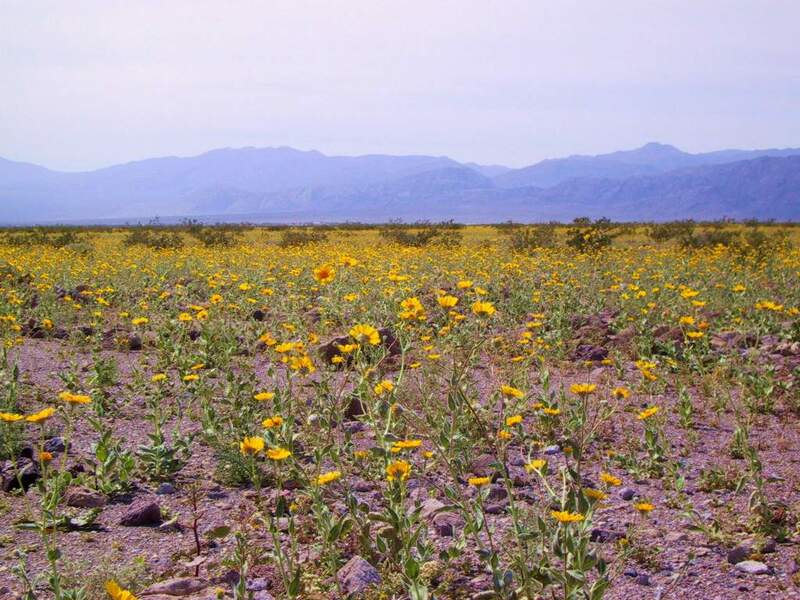 The record breaking rains this year brought a once in a lifetime opportunity to see desert wildflowers, so, for spring break, I took four days exploring the vast deserts of southwestern California. 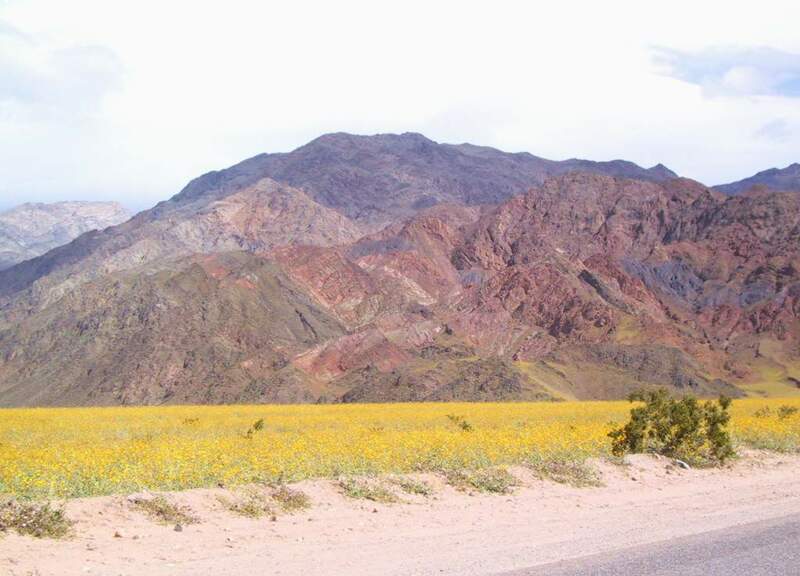 I started the trip by driving to the very north end of Death Valley National Park, where I boondocked the first night. Then I drove south to the main part of the valley and camped the second night in the foothills. 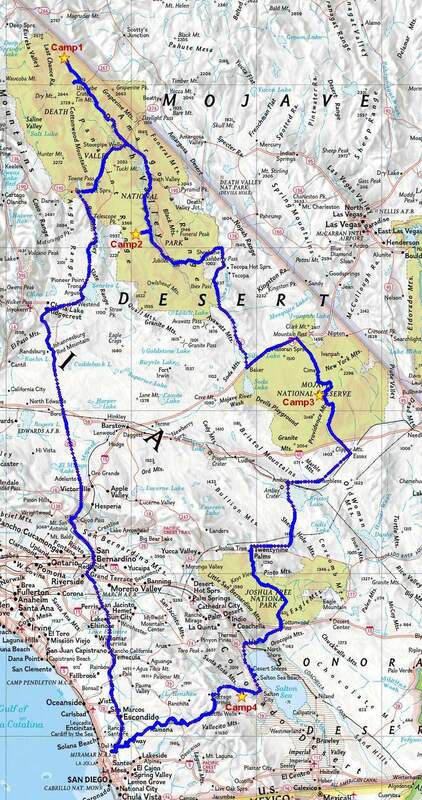 After leaving Death Valley, I continued working my way south, camping for a night in the Mojave National Preserve and then making my way thru Joshua Tree National Park to the Salton Sea, and camping the last night in the Anza Borrego State Park. All along the way I saw tons of wildflowers. There were dozens of different kinds, of all sizes, colors, and varieties. Sometimes there would be "carpets" of flowers, blanketting hundreds of acres. 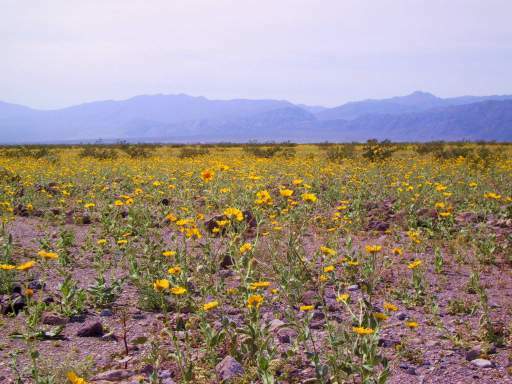 Other times they grew in smaller, more interesting arrangements, but everywhere I turned I saw life blooming in the desert. Click here to skip right to the flower pictures!! I wasn't the only ones out looking at the wildflowers. Had an interesting coincidence on the trip. While making my own personal travel videos I had become quite an avid viewer of television travel documentaries. One of my favorite series is on PBS, and called California Gold. It goes from town to town in California and digs up local color in a friendly talksy format. As I had done the narratives and voice overs on my own videos, I had come to respect the host of the PBS series for his ability to do ad-lib interviews in the field. 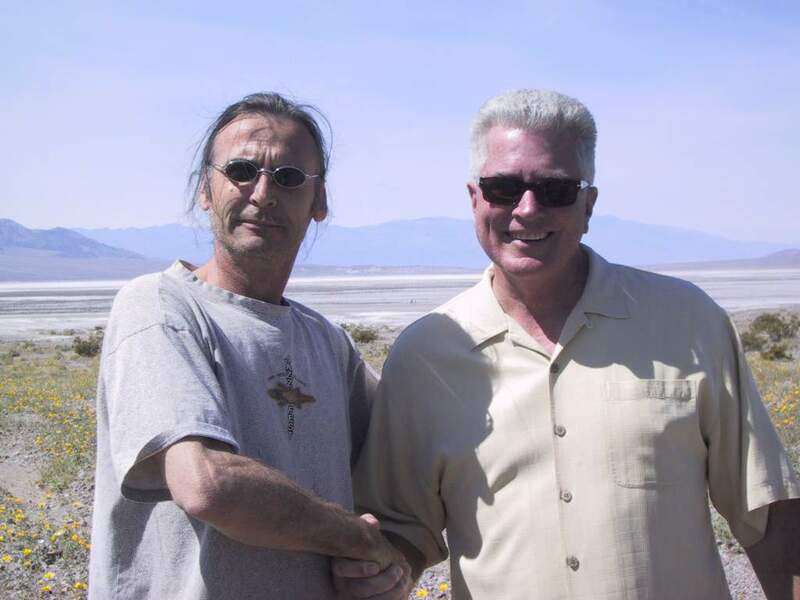 As I was driving along the road in Death Valley, who should I see but the series host and producer, Huell Howser, on the side of the road filming a segment about the wildflowers for his series. I stopped and waited till he finished the segment and got a chance to say hi and snap a picture. Continue onto the next page of my Death Valley Trip ..